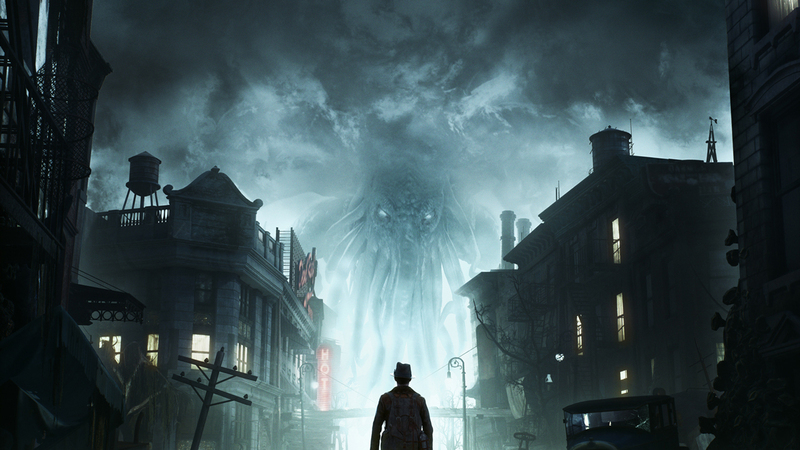 The Sinking City takes place in the fictional New England city of Oakmont, where residents are reeling from a massive disaster that has cut the city off from most of the world and flooded many of its streets. You play as Charles Reed, a P.I. with bloodshot eyes who’s been called to the city to help with an investigation. While it is cut off from the rest of society, people from all over have been finding their way to Oakmont, haunted by visions they can’t explain. Reed too is burdened with disturbing images and has to come to the city to see if he can find the source of this madness. I was able to go hands-on with the game recently, getting a look at its first two hours. Stepping off the boat at the docks, I’m thrust into my first mystery before I can get my bearings. A man has been murdered. The suspect has gone into hiding and I have to use my special gifts to figure out what happened. One of the side effects of Reed’s slow descent into madness is his ability to use Recognition, or what anyone who has played the Arkham games will simply call Detective Vision. As I examine the crime scene, I’m able to easily spot clues and start adding up the series of events. What I’m searching for here are Omens, visual links to the past that replay the event right before my eyes. In this first case, there are four Omens I need to find, easy enough to do when using Recognition. Each Omen recreates a small chunk of the crime, and after I’ve found all of these blue-tinged memories, I have to put them in order as I start to recreate the crime in my mind. The findings of these Omens, as well as the information I obtain from interviews and other clues, find their way into Reed’s Mind Palace, which is a fancy name for a menu that lists everything I’ve found for this case. In the Mind Palace, I can combine the various clues I’ve found to form deductions. Using these deductions, I can come to a conclusion on the case. Will my findings be correct? That’s not always clear. While I knew I had the right answer at the end of this first case, it was blurry on how I should proceed. 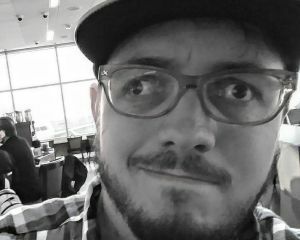 I knew the murderer, and I found him ridiculously close by -- a situation that only makes sense when I remember I’m playing a video game -- but now what? Did he do it on purpose, or was this claim of madness in the murder victim true? The decision on what to do lies with me and there will be ramifications for the choices Reed makes in the game, something I got a taste of when I started up the second case of the game moments later. For my session, I was able to complete three of the game’s early mysteries. All of them were pretty short, with just a couple of Omens to track and necessary clues that were pretty easy to find. Cases may have more clues to collect than required to reach a conclusion, though they do help in painting a better portrait of what happened. After that first case, I got a sneak peek at some of the supernatural horrors that await players in the final game. The works of H.P. Lovecraft factor heavy into the marketing of the game, and while they didn’t factor into much of my hands-on, seeds were being planted. A massive monster, a secret cult, mutiny, madness, and torrential downpour combined to create an other-worldly sensation throughout Oakmont. There is an unease about this place and I think Frogwares has knocked it out of the park creating a city with such intrigue. After my brush with the unexplainable, I was able to explore the city with a bit more freedom. Don’t expect total autonomy when playing this open-world game however as it’s still a story-led experience. Still, the path from point A to point B isn't always a straight line. As Oakmont is half underwater, I could just walk my way around the city. Many areas of Oakmont are only accessible by boat. In fact, from what I saw of the map, it reminds me of The Legend of Zelda: The Wind Waker, not a true open-world but a series of islands I sail to. Most streets have a small, makeshift dock where these little fishing boats are found and the boats fast enough that I never became annoyed with this type of travel restriction being thrust upon me. There are phone booths scattered about that act as fast travel points, though I actually enjoyed walking around this city and seeing the destruction wrought by this cataclysmic event. 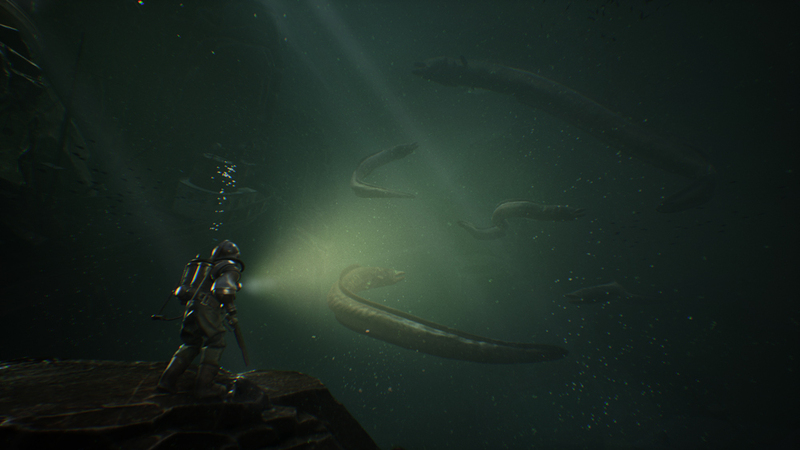 Later in the game, Reed will be able to explore underwater sections as well with the aid of an early design diving suit. 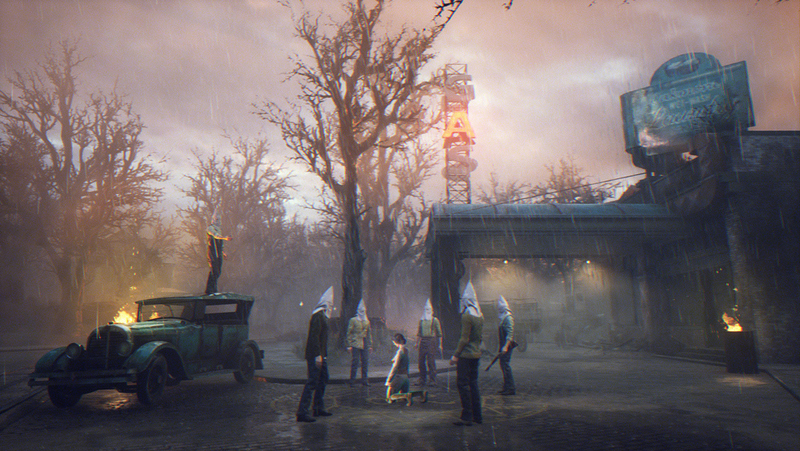 From my brief time with the game -- the final product will take around 30 hours to complete not including the side-quests -- The Sinking City is setting up one hell of a mystery. And I appreciate that I can walk around a populated city without being inundated by side-conversations from the citizens that I might feel the need to stop and listen to lest I miss some crucial aspect of lore. However, some of its ideas aren’t landing as well as its central story thread. The game has an XP skill tree with branches for Combat, Vigor, and Mind. The mind one is vital as Reed has an insanity meter that includes some pretty lousy special effects. Throughout my hands-on, Reed is haunted by visions of the eldritch creature that fades in and out of the screen from time to time. The effect is hammy at first and an eye-roller every instance that follows. The insanity meter, as well as its effects, don't have the impact I'm sure the developers were going for. Bullets act as currency in Oakmont, an idea that probably sounded fresh when this game went into development but seems like an unnecessary burden to put on the players. 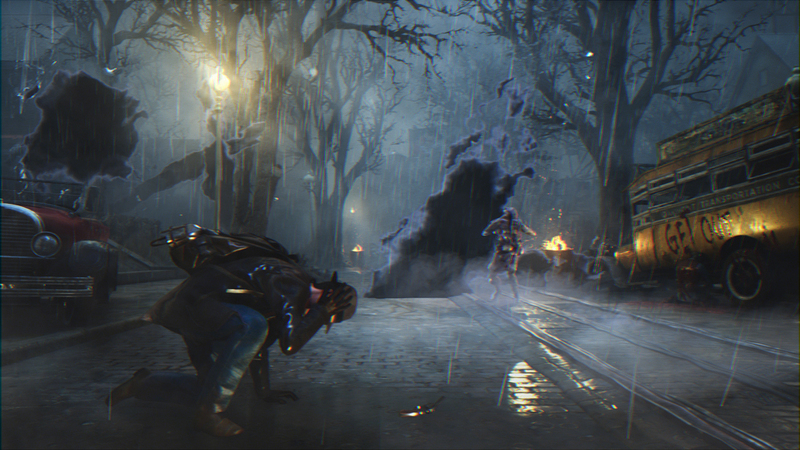 Combat only played a small role in the first two hours and it's serviceable enough for small, limited encounters. Anything more than a couple of people might cause a problem down the line. I’m not against video games tackling difficult subjects and I often think it’s unfair other forms of art and entertainment get free reign on controversial themes while games are, for whatever reason, “not allowed” to address them. However, Frogwares is a Ukrainian-based game developer, writing characters with a British tinge to their use of the English language. I'm not saying it's impossible for the developers to adequately address the issue in a way that goes beyond the old standard of "white savior," but America’s racist past is a difficult subject for even Americans to get right. It's a risky choice. I just hope it's the right one. Whether or not Frogwares will pull it off will be known soon enough. 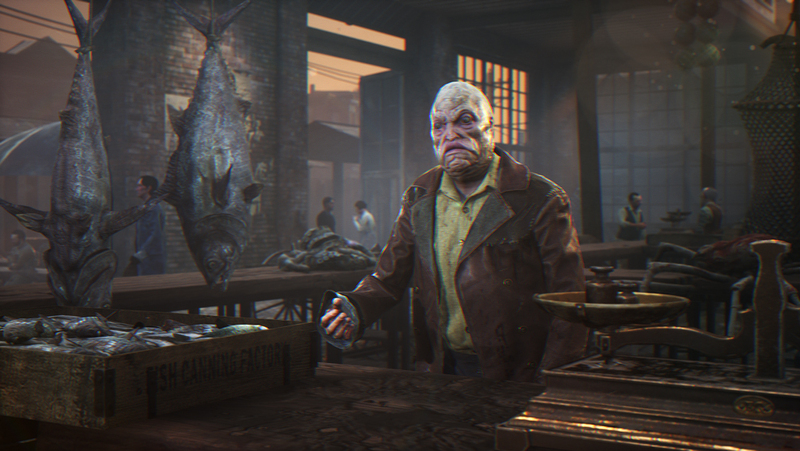 After getting hit with a delay last month, The Sinking City launches on June 27 for PlayStation 4, Xbox One, and PC.